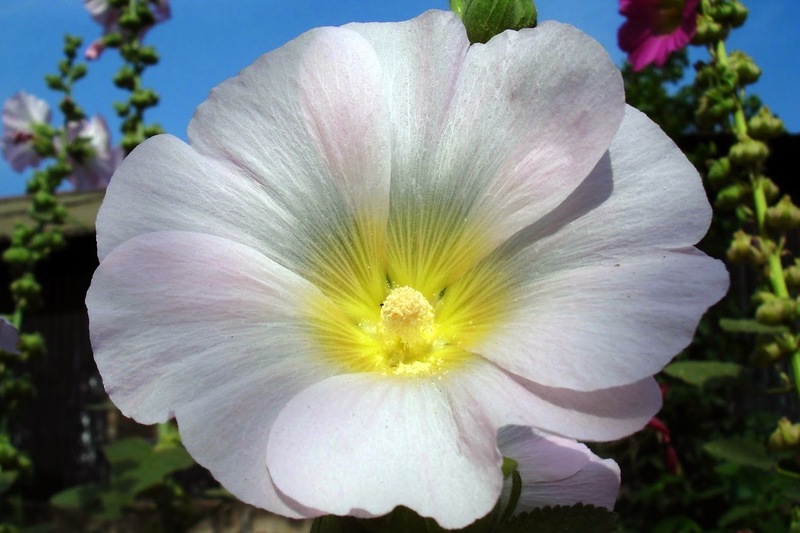 The Girl And Her Camera: Hollyhock or Alcea: What an Enchanting Beauty! 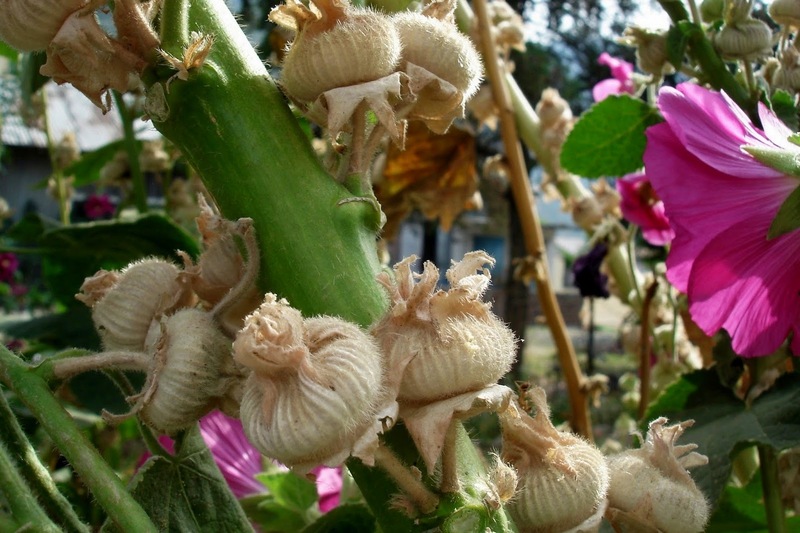 Alcea or most commonly known as Hollyhocks are ornamental plants that grow as tall as 11 feet. You may notice that the flowers look like Hibiscus or Gumamela as it is called in Philippines, although its pistil is longer than Alcea. And you are right! 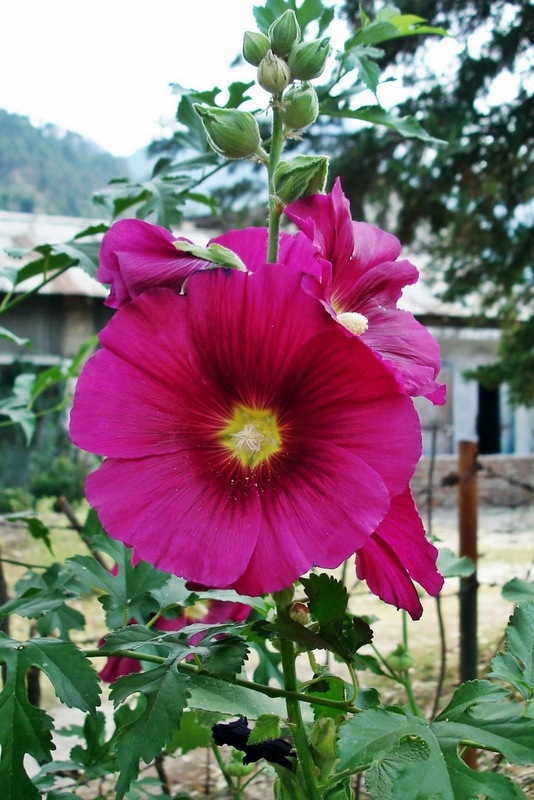 Alcea flowers look like Hibiscus flowers because they belong to the same family, mallow family Malvaceae. Most varieties are biennials - they grow foliage the first year, flower the second then die. Good thing though is that they seed every year and these seeds grow wherever they fall that easily. We just got a few seedlings and seeds yesterday, planted them and hope to see them grow come early winter and blossom early spring next year. The flowers open from the bottom to the top of the spike throughout summer. No wonder they grow as tall as 11 feet! Interesting huh! They are best planted along the fences or places where they can get natural support. They need support! A giant flower plant like this need support huh...interesting indeed! Color variations include dark purple, red, white, pink or peach and other color combination of any of these. Hollyhocks are now one of my favorites! But I believe I like all flowers...hmmm!